Another edition of Britt’s Picks! Excited to see more items popping up in Coco Pique. Curious about the Blizzard Parka and wondering what colors the Fleecy Keen Jacket might come in. 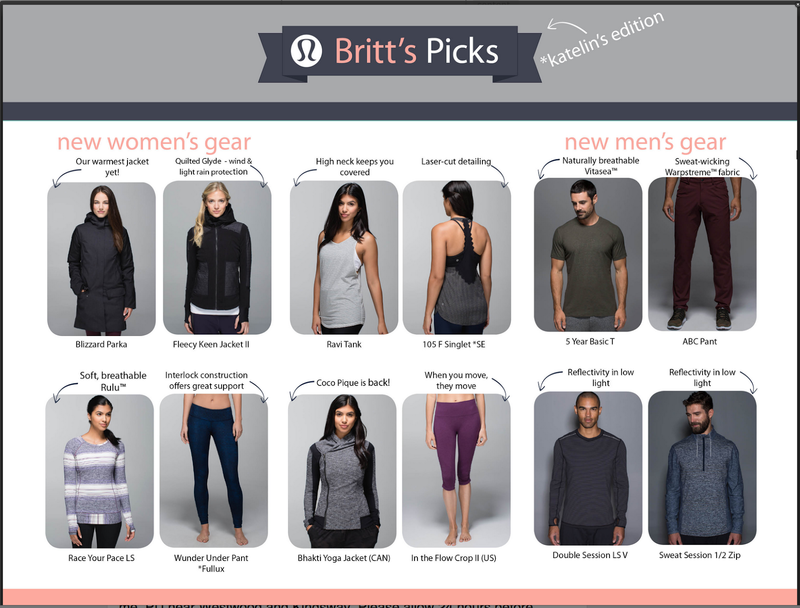 What has caught your eye on this weeks Britt’s Picks? "High Times Tech Mesh Crops, Radiant Long Sleeve"